The excellent run of Tony Noonan continued this afternoon when Mezulla made it two wins in a row when she saluted at her home track in the $35,000 Bayside Suzuki BM70 over 1500m. 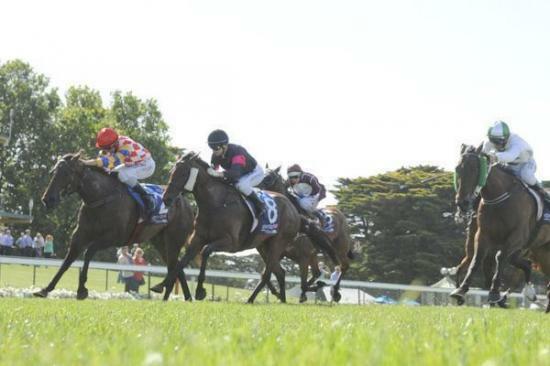 Mornington-based Noonan's heart skipped a beat mid-race when jockey Jordan Childs settled the 5-year-old Sharmardal mare ten lengths off the leader down the back of the course. “I was worried when Jordy drifted her back that far but when we’re running in these metropolitan races, class prevails and that’s just what she (Mezulla) did,” Noonan said. In her 21st career start, Mezulla is enjoying a lovely string of form with strong performances in all her runs this preparation and Noonan expects further improvement yet. “She was good at Sale and good today but I’ve always said she is a Saturday horse so she’ll step up in class again next start. The win marked a pleasant return to Mornington for Noonan who had just come back following a freshen-up in Hong Kong. Settling at the tail of the field, Childs crept into the race along the side straight before cornering five-wide. By the 200m mark, Mezulla was widest runner and kept coming late to score by a short half-head. The win took Mezulla’s prizemoney earnings to just shy of $100,000 and also Childs' 20th metropolitan win which drops his apprentice claim from 3kg to 2kg in the city.